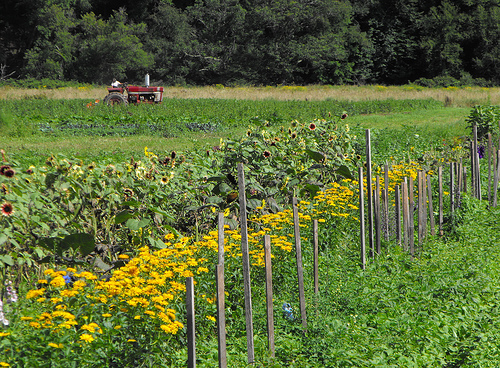 We currently harvest and sell organic hay, free range eggs, pasture pork, and organic/GAP certified vegetables. Watch for our coming CSA and local frozen organic vegetable products. Farm raised Beef, Pork, Veal and Vegetables. Open Friday and Saturday 10am - 3pm. ​Lucky Dog Farm is a NOFA-NY Certified Organic farm located in Hamden, NY, in the valley that the Delaware River cuts through the Catskill Mountains. In any given year we’ll have 45 to 50 acres actively cultivated in organic vegetables with the remainder in a cover crop used to enrich our farm-made compost. Visit our website farm and farm store. We raise and offer certified organic meat including chicken, duck, turkey, pork and beef. We sell certified organic animal feed. 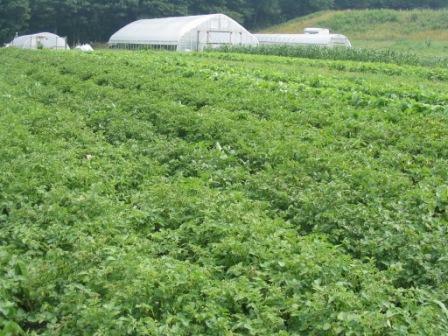 We also raise and offer certified organic cooking herbs, onions, garlic, shallots, pototoes and other vegetables. All field work is completed by Fjord and Haflinger work horses. 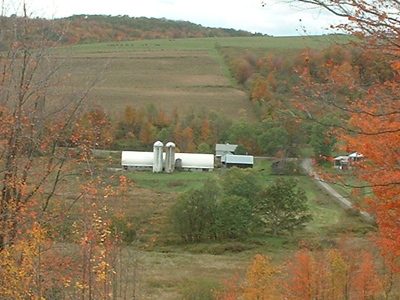 The Evan's family signature farm product is their certified organic, vat pasteurized, creamline (non-homogenized) milk, produced by their herd of pasture-raised Holstein cattle. The richer, creamier all-natural milk produced by Evans' Jersey cows is used to make organic European-style yogurt, which comes in a variety of delicious flavors. Besides organic milk and yogurt, there are butter, cheeses, grains and meats.